In general, hosted accounts are useful only under the service that hosts them - and only "blogspot" published Blogger blogs can be used with a Blogger hosted account. Rules for Blogger, and for non Blogger, content are complicated. Each service has different standards. An AdMob hosted account is good, only with AdMob, on a mobile computer. 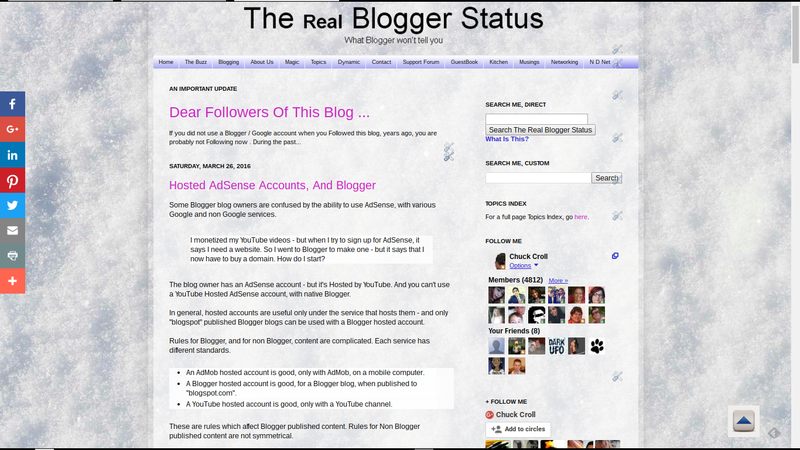 A Blogger hosted account is good, for a Blogger blog, when published to "blogspot.com". A YouTube hosted account is good, only with a YouTube channel. These are rules which affect Blogger published content. Rules for Non Blogger published content are not symmetrical. If you want to use a Blogger blog with a AdMob hosted account, you have to fully activate your AdSense account. 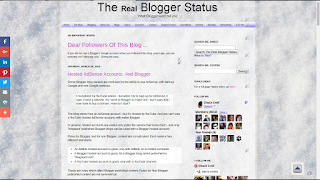 With a Blogger hosted account, you can only use a blog published to "blogspot.com". To use a Blogger custom domain published blog, you have to upgrade your Blogger hosted account. With a YouTube hosted account, you have to upgrade your YouTube hosted account, to monetise a Blogger blog. Interestingly, if you start with an approved and verified Blogger hosted account on a properly qualified blog, you can use that account to monetise a YouTube channel. You just can't go from YouTube to Blogger so easily. Fully Activated AdSense for Content. To upgrade to AdSense for Content, you need a properly qualified top level domain website - and a verified address with an AdSense PIN. Blogger custom domain published blog. Non Google hosted top level domain published website. You need to plan any upgrade, carefully. As I have observed previously, standards for publishing to an AdSense for Content account are much higher, than for a hosted account. You need to plan any upgrade, for a Blogger blog using a custom domain - or when you're using any other AdSense account. The end result here is that AdSense Help Forum: Blogger, YouTube, Partner sites will not go away, from lack of questions. 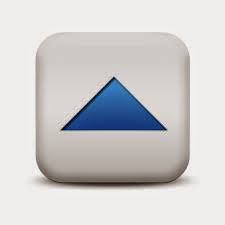 The online forums will always be needed, for answering AdSense hosting and upgrade questions. Some #Blogger blog owners, enjoying successful AdSense use with AdMob, YouTube, or other hosted accounts, want to add AdSense ads to their Blogger blogs. They do not always understand the complications involved, in the upgrade.